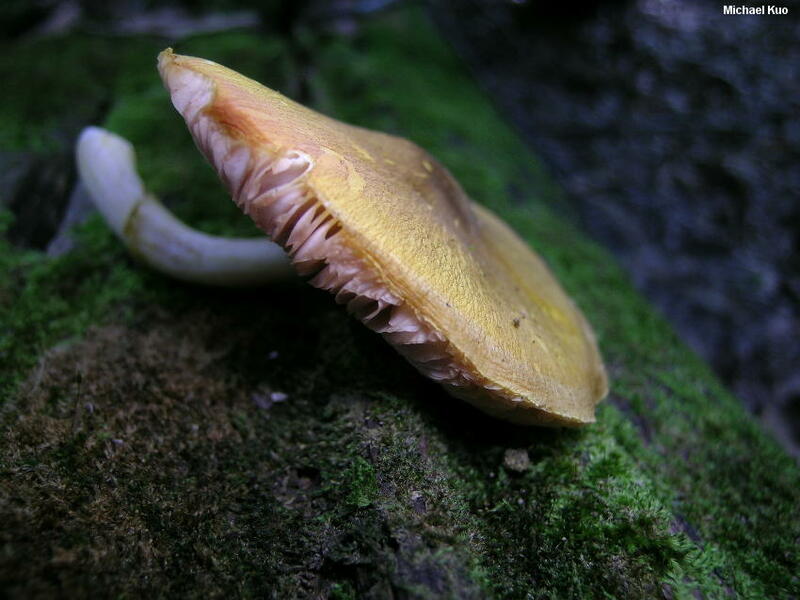 This fascinating and rare mushroom was known as Chamaeota sphaerospora until Pluteus expert Drew Minnis and his collaborators (2006) placed it in the genus Pluteus, with the support of morphological and DNA evidence, as the only species with a ring (the authors also synonymized Chamaeota mammillata, which had the older name and thus received the species epithet). 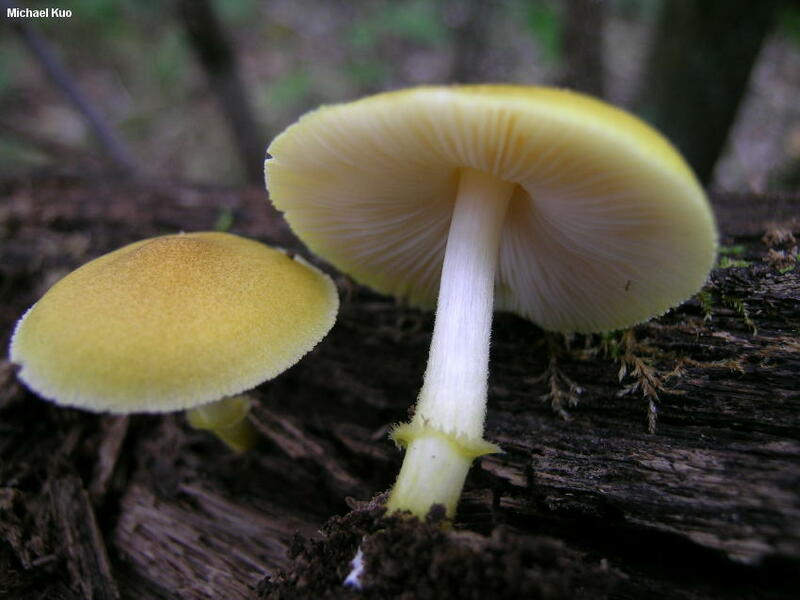 Aside from the fragile ring, distinguishing features for Pluteus mammillatus include its silky yellow cap and its gills, which are free from the stem and become pink as the spores mature. 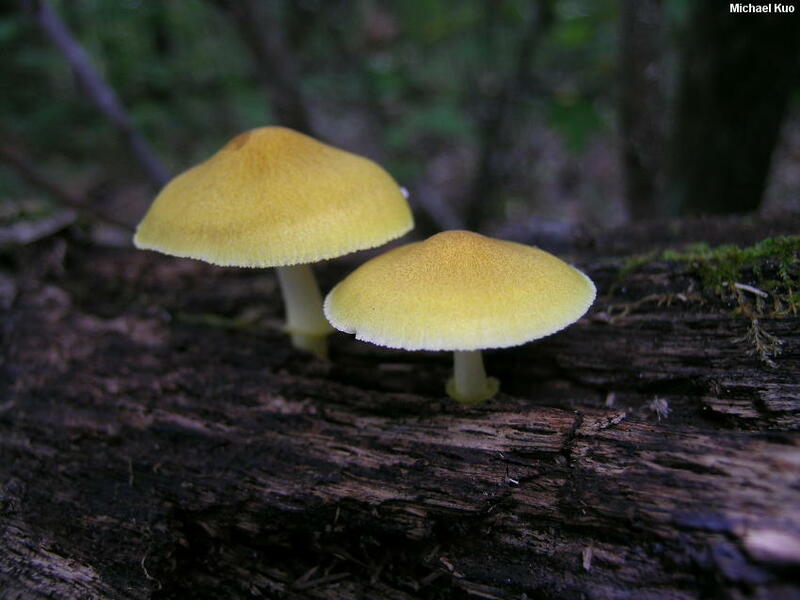 Although Pluteus mammillatus appears to be extremely rare everywhere else, it is quite common in the Mingo National Wildlife Refuge, site of a fantastic annual foray for the Missouri Mycological Society. Ecology: Saprobic on the decaying wood of hardwoods; growing alone or gregariously; summer and fall; distribution uncertain (originally recorded from Michigan, but rarely reported since, except in southeastern Missouri). The illustrated and described collections are from Missouri. Cap: 2-6 cm; broadly conic at first, becoming broadly bell-shaped, broadly convex, or nearly flat; dry; finely silky with yellow or brownish fibrils; medium to bright yellow, fading on exposure to sunlight; the margin becoming slightly lined. 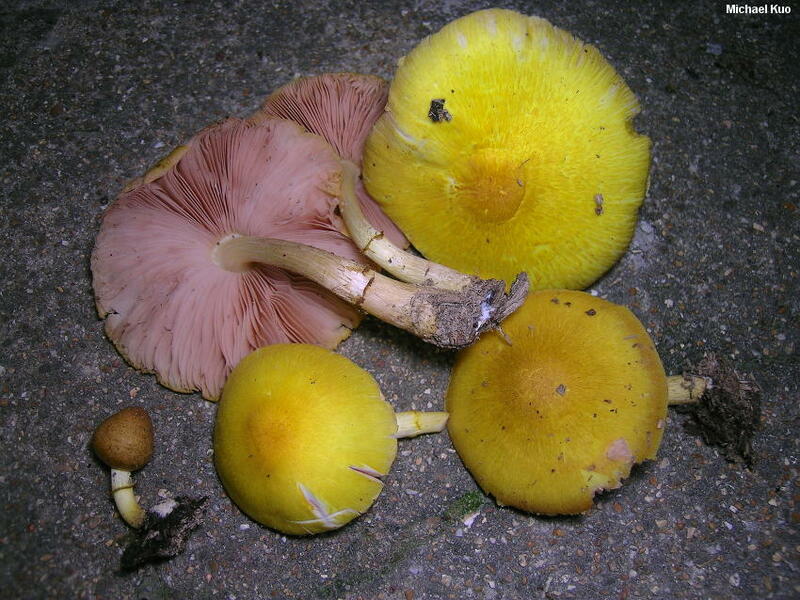 Gills: Free from the stem; close; short-gills frequent; whitish at first, becoming pink at maturity. Stem: 2-6 cm long; up to 1 cm thick; equal or tapering upward; solid; bald or finely silky; whitish to pale yellowish; with a fragile white ring on the lower half (in age the ring is often missing, or reduced to a vague ring zone); basal mycelium whitish. Flesh: Insubstantial; whitish; unchanging when sliced. Microscopic Features: Spores 5-6.5 x 4.5-5 µ; globose, subglobose, or very broadly ellipsoid; smooth; hyaline and uniguttulate in KOH; inamyloid. 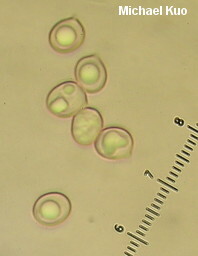 Cheilocystidia 50-75 x 12.5-20 µ; ventricose or nearly subcapitate; hyaline in KOH; thin-walled; sometimes sheathed with a mucilaginous covering. 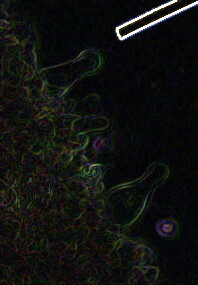 Pleurocystidia 50-75 x 12.5-35 µ utriform to widely fusiform or subcapitate; hyaline in KOH; thin-walled. Pileipellis a cutis. REFERENCES: (Longyear, 1902) Minnis, Sundberg & Methven, 2006. (Peck, 1903; Saccardo, 1912; Kauffman, 1918; Singer, 1978; Miller & Miller, 2006; Minnis, Sundberg, Methven et al., 2006; Kuo & Methven, 2008; Kuo & Methven, 2014.) Herb. 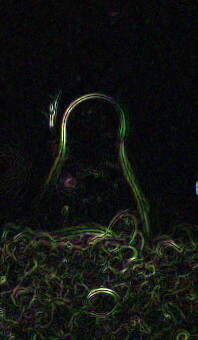 Kuo 09180401.